Best Green Burgers EVER. | Eat More Plants. Ok, seriously in love with these burgers. 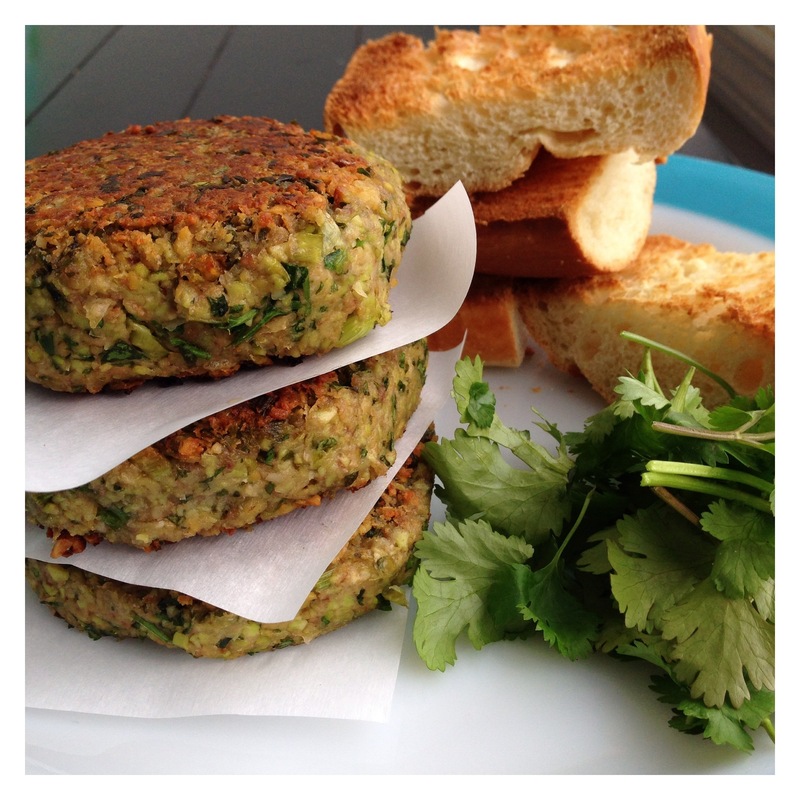 They might even rival my beloved beet burgers as my new favorite. I posted the original recipe [milking almonds] right before this post but I did make a few changes. 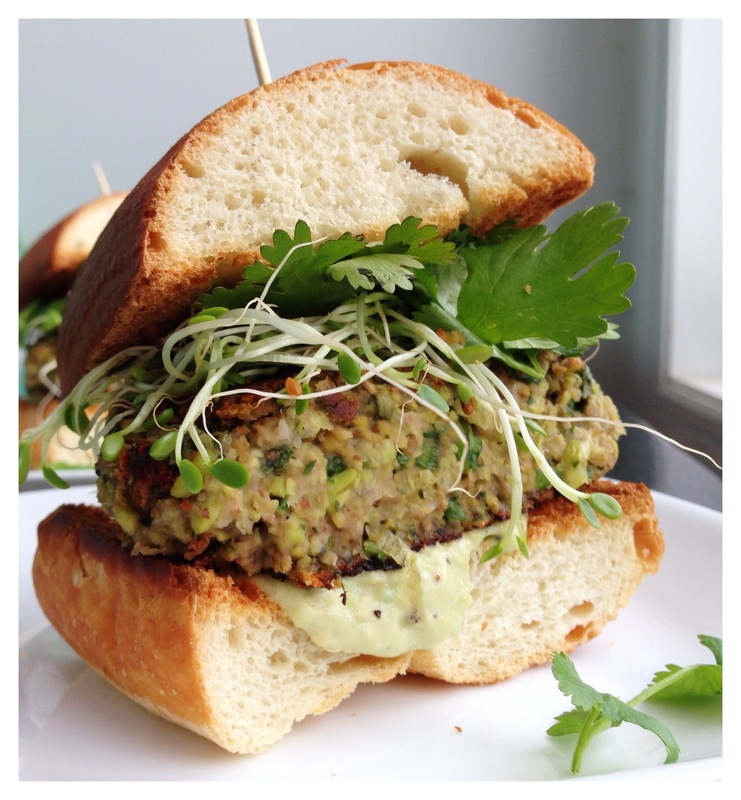 What I love most about these burgers are the herbs and the creamy avocado dressing. Seriously perfect. 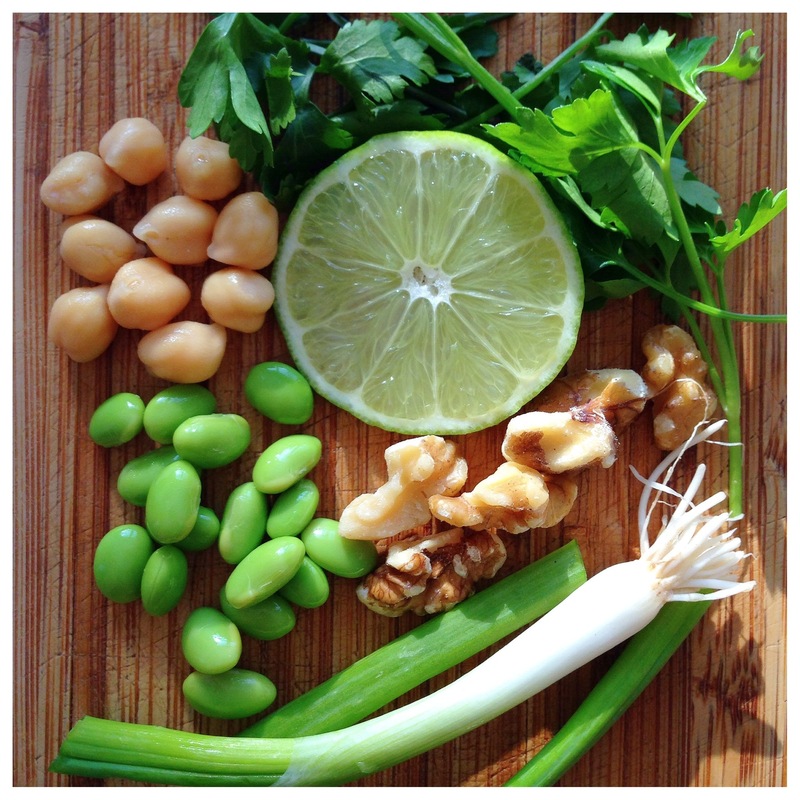 Combine chickpeas, edemame, parsley, basil and walnuts in a food processor. Process until well combined but still fairly chunky. Scoop into a mixing bowl and add the remaining ingredients. Refrigerate for at least 30 minutes or up to 2 days, until you’re ready to cook. Heat a skillet over medium heat and add enough oil to coat the pan. Form your mix into patties; I had enough for 7 burgers. Fry on each side for 5 minutes, until browned. They hold up well to cooking but still use care when flipping. Serve with fresh greens and avocado dressing, recipe follows. Combine all ingredients in a small bowl while the burgers are cooking. I wouldn’t recommend making this too far ahead of time because the avocado will brown slightly. I served these burgers on toasted French bread, with the dressing spread on both sides (I love the creaminess it adds! ), some clover sprouts and extra fresh cilantro. Sounds awesome! What does the longer time in the fridge do?